I picked up the Fall variety pack from Harpoon and have really enjoyed the beer that was included. Best bet so far is the Rye IPA which I will review later. The Octoberfest is a traditional style Marzen and has plenty of malt character. As expected it pours a deep orange with a small white head. Aroma is very balanced with a bit of hops and some malt sweetness. Overall a very appealing beer both visually and in the aroma. The beer again is very well balanced with a strong malt backbone but also a nice hop finish and a bit of dark fruit in the middle somewhere. This is one of the better Octoberfest beers I have had – no idea how they compare to the German version but this is a solid beer that will not disappoint. 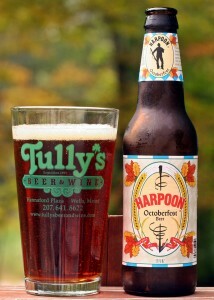 Brewers Description: The character and complexity of Harpoon Octoberfest comes from the malt and hops. When looking at a freshly poured Harpoon Octoberfest, you will notice the garnet-red color with a firm, creamy head. The beer’s color is from a blend of Munich, chocolate, and pale malt. The thick head results in part from wheat malt added to the grist. The hop aroma of this beer is not overpowering but it is present. Tettnang hops add a subtle spice nose that blends with the malt character. This beer is full-bodied, smooth, and malty. Willamettehops are used to provide a gentle bitterness and to balance any residual sweetness present from the malt. The finish is soft and malty with a mild bitterness. Well the weekend I have been waiting for since July finally arrived. On Friday I headed out to Vermont with my brother-in-law for Hill Farmstead’s Harvest Festival. I was one of the fortunate few that was able to purchase VIP tickets for this event as it sold out in about 60 seconds. 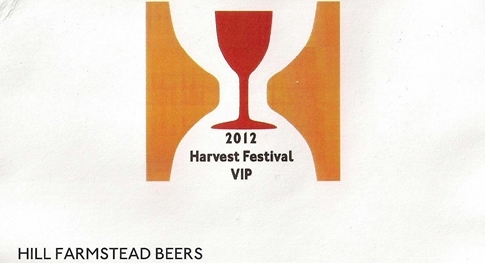 The ticket price was $100 per for the VIP session but what I have learned from prior events is brewers really make sure you get your monies worth and Shaun from Hill Farmstead certainly did that. We arrived at the brewery around 12:30 on Friday to get bottles and growlers filled before the event. 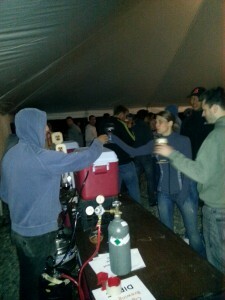 With 500 tickets sold for the Saturday (non-VIP) portion of the event the lines were going to be long so getting most of our beer on Friday was a great idea. I ended up with 2 full sized growlers (Edward and Society & Solitude #5) and brought home another 15 – 750 ml bottles for myself and other beer lovers in Maine. The line was only 2-3 deep when we arrived but most people (including me) were filling 10+ bottles so it did take some time. 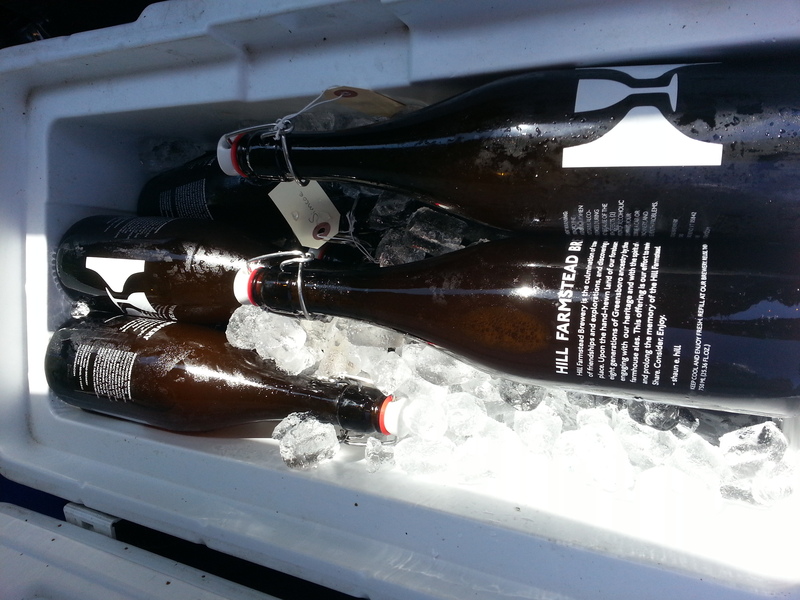 In addition to the growlers and 750s I purchased 5 bottles of beer – 4 from Hill Farmstead and one from Grassroots Brewing. All will be reviewed here in the coming weeks as they are now at the top of my list of beers to drink. 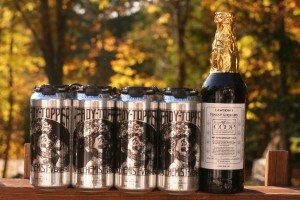 Mountain Co-op to find some Heady Topper and whatever Lawson’s Finest Liquids we could find. The Co-op had a two 4-pack limit for Heady and the only Lawson’s was a 40th Anniversary Ale made specifically for the Hunger Mountain Co-op so I grabbed a bottle. We also grabbed some lunch at the Co-op and if you have never been you must go as they have some amazing sandwiches, a salad bar and even do growler fills. I wish there was something similar available in Maine. After the co-op we headed back to Hill Farmstead and arrived around 4:00 with a few hours to kill before the event which was scheduled to start at 7:00. After a bit of rest we ended up on a picnic table with a growler of Hill Farmstead Holger Danske and a couple of people from New York / New Jersey. This was their first time visiting Hill Farmstead and they had not tried any beer from Hill Farmstead until then. We ended up finishing the growler before the event even started but it was a great way to start the night. As 7:00 approached the crowd started to arrive and the food from Mad Taco was cooking. Everything smelled amazing and was being prepared right there with fresh onions being chopped, multiple charcoal grills cooking the meat and lots of great bread. Also the music started and the beer started to flow. There were 2 taps that initially were dedicated to Hill Farmstead beer and at least 2 that were pouring beer from other brewers including a cider from Chicago. The beer was amazing and there were no tickets or other limits, basically as fast as you could make it through the line you could get refills. I had very little food but what I had was excellent and the remainder smelled excellent. While the event was going I met some people that follow my blog which is always a lot of fun. Some time after 10:00 they stopped pouring but many people continued to hang out talking beer and enjoying the evening. Eventually we made our way back to the tent feeling good and full of plenty of great beer. Our plan was to make it out before the masses arrived on Saturday so we woke early, tore down the tent, packed up the car and had some breakfast on one of the picnic tables. They were selling 750s of Ephraim on Saturday which was the one beer we could not get on Friday so we expected to hang around until the bottle filling started at 11:00 for the VIP ticket holders. Around 9:30 the door to the brewery opened and we went in to chat with some of the employees/volunteers that we met the previous evening. Eventually Ephraim made it to the tap and we got our bottles filled around 10:00 just before they kicked everyone out of the fill area. The ride home should have been about three hours however shortly after getting on Highway 91 in Vermont we had an issue with a tire and had to stop to change over to the spare and eventually found a tire shop in St Johnsbury to get a replacement. This delayed our return home by at least 90 minutes but we still made it home mid-afternoon on Saturday with plenty of great beer in the coolers and a day of rest before heading back to work on Monday. 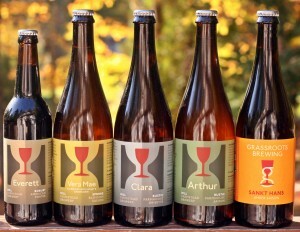 I believe the next Hill Farmstead event is May of 2013 so keep an eye on their website and/or Facebook page for details. Provided I can score some tickets I will certainly be out there again and would love to meet up with more followers of my blog. In the meantime if you have the opportunity to go to Vermont be sure to plan a trip to Hill Farmstead or if you are bored on a Saturday and want to take a day trip it is only 3-4 hours from most of Central / Southern Maine. It is well worth the trip but be sure to bring cash as they do not accept credit/debit cards or checks. And if you go let me know as I may want to place an order. 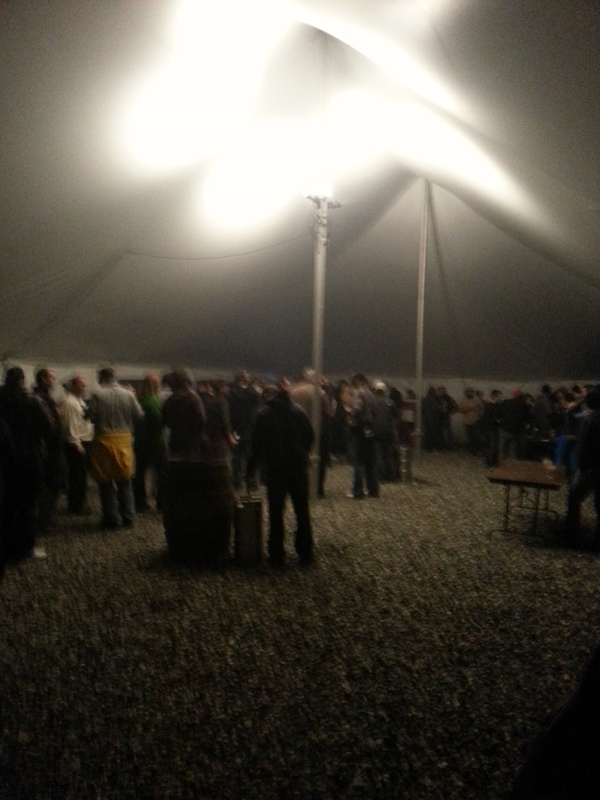 All the people that I met at the event; Hill Farmstead employees, volunteers, other beer drinkers, etc were great and everyone I encountered was there to have a good time and enjoy some World class beer. I posted some more photos to my Facebook page if you are interested click here. Had this one about a week ago and just getting around to doing the review. Overall this one is pretty forgettable. Appearance is very light in color with only a minimal white head. that fades almost immediately and leaves no lacing. Aroma is probably the best part of the beer as it has a fair amount of raspberry sweetness. Flavor was sweet as you would expect from a fruit beer but seemed artificial. Beer felt watered down but was pretty refreshing. Overall not a bad beer but with so many better options out there I would not recommend it. Brewers Description: The same as our original wheat but with the delicious refreshing flavor of raspberry in every sip. A light dry finishing beer. A summer favorite on those hot days. Grabbed a single of the new beer from Sixpoint at Bier Cellar last week and now wish I had grabbed a 4-pack. Every beer I have tried from Sixpoint has been excellent and they have become my go to golf beer and my golfing partners all agree they are making some great beer. 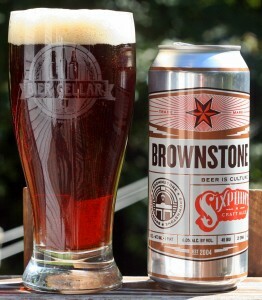 Brownstone is their brown ale which is slightly hoppier than most brown ales which is a plus in my book. Appearance is more of a dark red than brown with a nice tan head. Aroma is fairly typical of a brown ale with some sweet malt but there is also more than a hint of hops. Taste has everything that a brown should have; caramel malts and maybe some nut and coffee tones. After all these flavors the hops make an appearance and the beer finished clean. An excellent beer and something you could enjoy in any season. 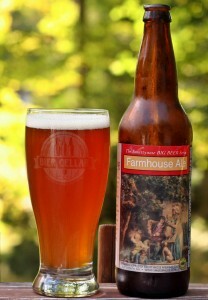 Brewers Description: …and coming out of the brownstone house to the gray sidewalk, the watered street, one side of the buildings rises with the sun like a glistening field of wheat. Brownstone is our bedrock; the first fortress of Sixpoint. This mahogany-hued brew has elements of roasted barley and a hop-forward profile. 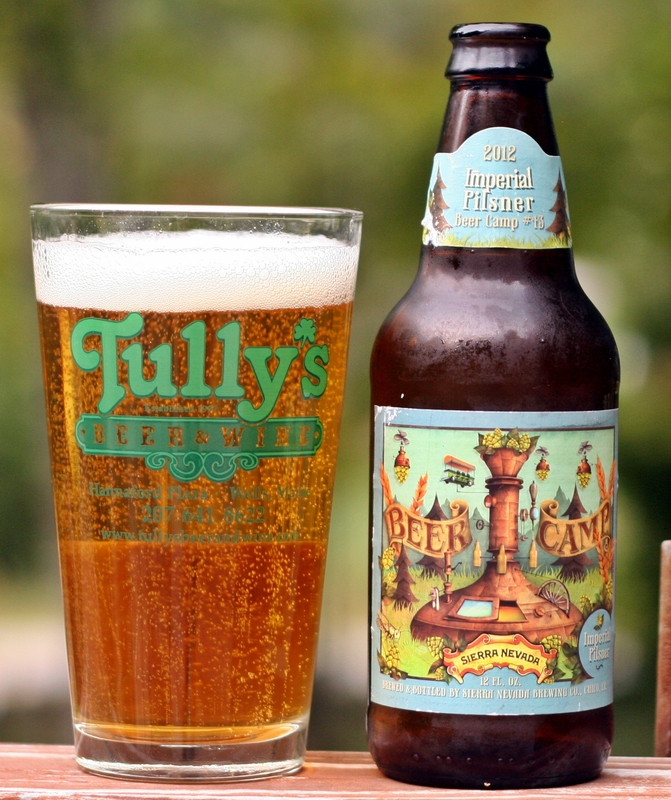 This beer is part of the Beer Camp series from Sierra Nevada. They have a variety 12-pack with 4 different varieties and this is the first to get reviewed and probably my least favorite of the 4. Not a huge fan of pilsners and not sure what makes this an imperial pilsner. When I think imperial, I think high ABV – bigger flavors, etc and this one has none of that. Color is a clear orange with single finger white head. Aroma is minimal with only a bit of floral hop aroma. Bitter start with this one but it does balance out with some nice sweet malts. Overall not a very flavorful beer and a style that I try to avoid. This is my second beer from Throwback and based on the first two I will have to start making regular trips to Hampton, New Hampshire. The Rhubarb Wit was excellent and I really enjoyed this hefeweizen. Hoping I can grab some Spicy Bohemian next time it is available. A truly great looking beer with a thick head and light orange color. Plenty of spice and banana in the aroma which draws you into the beer. Taste has plenty of banana, some orange and spice as well and is extremely well done. The beer finished clean and very refreshing. One of the best hefeweizens I have sampled. 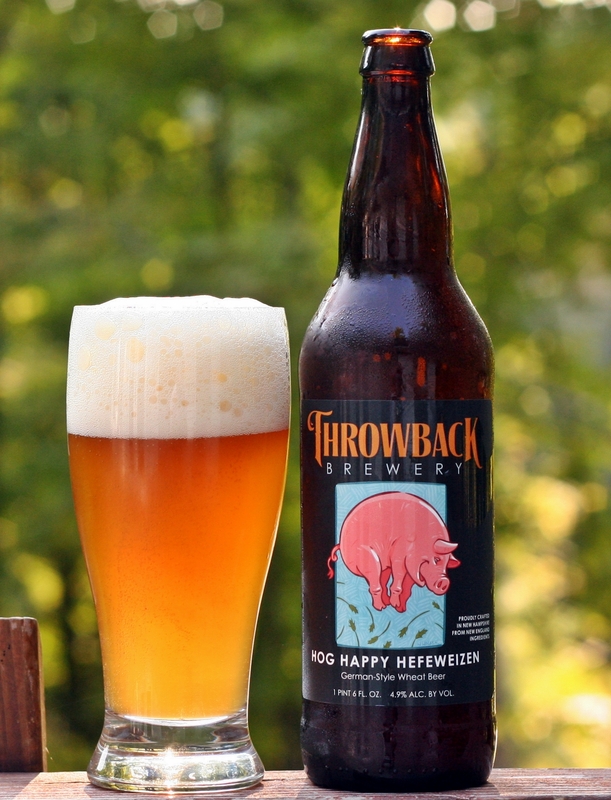 Brewers Description: Hog Happy Hefeweizen is a full-flavored, traditional German-style wheat beer that tastes like it comes straight from Munich, but is made with wheat from local farms. 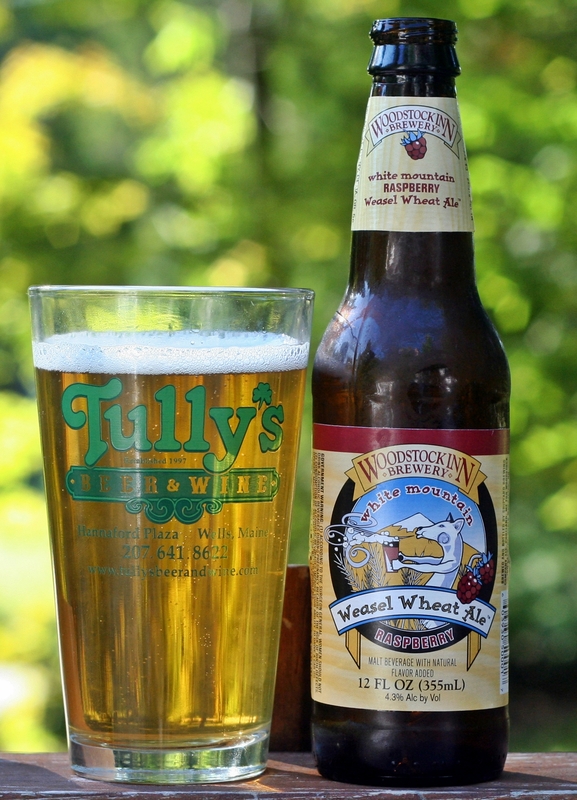 The yeast used during fermentation gives this straw-colored beer the sweet flavor and aromas of banana & clove. 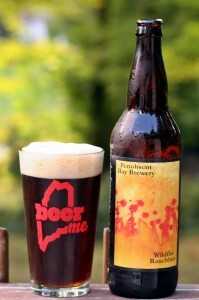 This was the beer release that brought me to the Portsmouth area a few weeks back. While I was there I visited a couple of other breweries; Blue Lobster and Throwback as well as The Thirsty Moose so it was certainly a trip worth taking. This was a limited release beer and I am sure it sold out the evening of the release. I grabbed 4 bottles and shared 3 with others here in Maine. This may be the first Berliner Weissbier that I have reviewed (I cannot think of another). Certainly an interesting style of beer known for its low alcohol content and tart fruit flavor. As usual Smuttynose did a great job with the style of beer keeping the ABV below 4% and the Strawberries certainly give this one a nice tart finish. Color is pale orange with a slight white head. Aroma seemed more earthy than strawberry, I was expecting something very sweet but it was not there. This beer is a lot more complex than I expected it to be, crisp refreshing start with a tart almost sour finish but still very drinkable. Smuttynose almost never disappoints and if you can get yourself a bottle of this Short Batch Series I am sure you will enjoy it. 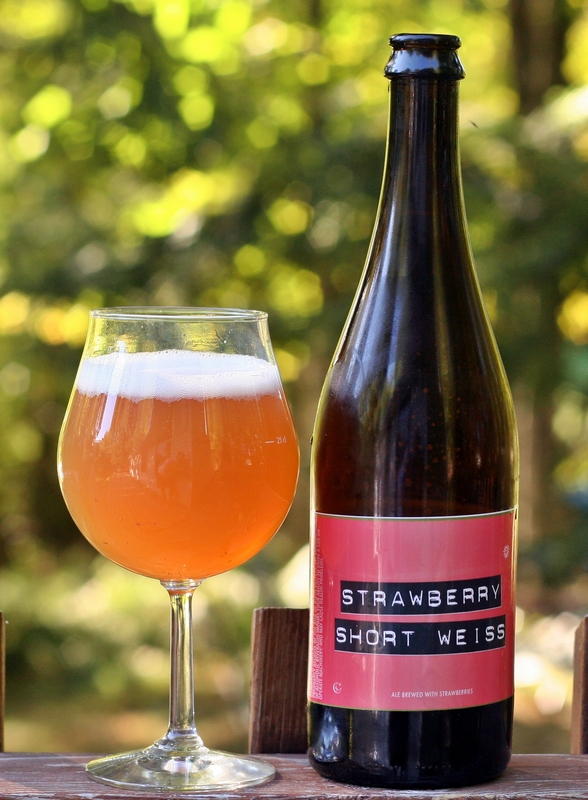 Brewers Description: Smuttynose Strawberry Short Weiss, our take on a Berliner Weisse, is lightly tart, refreshing and incredibly drinkable. It’s also one of our staff’s most beloved beers. I picked up this bottle while I was at Smuttynose for the Strawberry Short Weisse release. 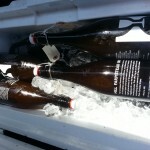 They have a vintage cooler containing many bombers from the Big Beer Series that have been bottle aged at the brewery. This one was labeled 2007 so it has been sitting for approximately 5 years. No idea what age does to a saison but I can tell you this was a very good beer. Color is a deep orange with single finger head. Lots of earthy aromas along with some spice make for a very interesting aroma. Taste is very complex with the spice from the aroma coming through but also a strong malt presence and just a bit of funk. Alcohol content is very well hidden. I really enjoy saisons and this option from Smuttynose is very well done. Brewers Description: Broadly speaking, a farmhouse ale – or saison – is an esoteric style native to the French/Belgian border region. Characterized by a golden to light amber color, light to medium body, and noticeable fruity/spicy esters, this beer, known also as a “country ale” was traditionally brewed in primitive conditions in farmhouse breweries for consumption throughout the warm weather by seasonal farm workers. Our Farmhouse Ale is an homage to traditional European beers brewed for quenching the thirst of farm workers, or “Saisonaires.” A unique Belgian Saison yeast is used to impart a mixture of spicy, fruity, & earthy notes along with lip-smacking palatability. Rauchbier is such an interesting and unique style of beer that it is hard to compare it to other styles. The style is known for its smokey taste similar to BBQ meats. I believe the only other Rauchbier I have tried is the Samuel Adams Bonfire Rauchbier which was in last year’s fall variety pack. Pour has a huge head and is a very deep red / brown color. Aroma has some smokey sweetness and is quite good. The beer itself has big smoke flavor balanced with some nice sweet malts, finish is clean and the carbonation level seems just right. Overall a very good beer from a style that is rarely seen on shelves. Brewers Description: The smokiness and color of Wildfire Rauchbier comes entirely from using only specialty grains. Weyermann Rauchmalz for the signature flavor, Munich for body, Cara-Pils adds richness and Carafa deep color. Serve with bold, full flavored foods, such as smoked pork, rubs, sausages and steaks.